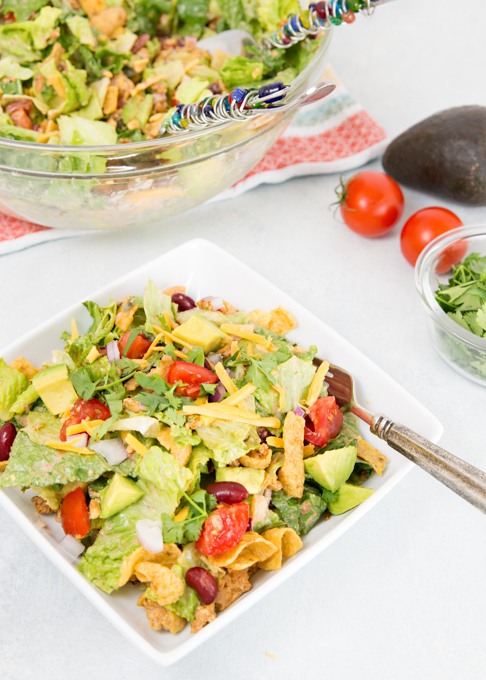 This Taco Salad w/Salsa Lime Dressing is a delicious main course salad! 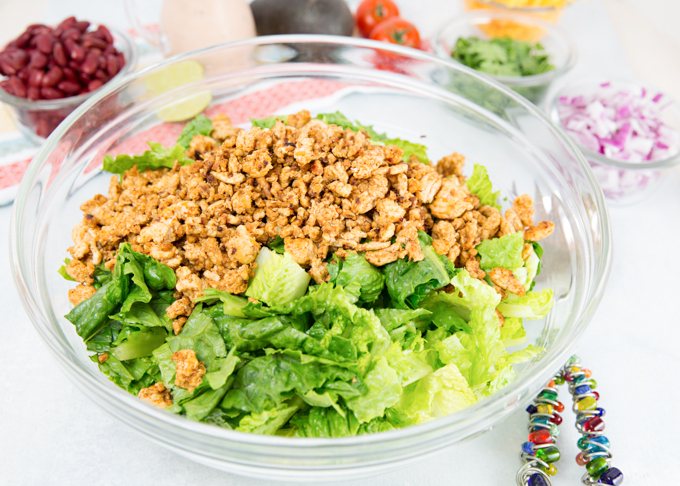 It’s made with seasoned ground turkey and topped with a homemade Salsa Lime Dressing that is to die for! 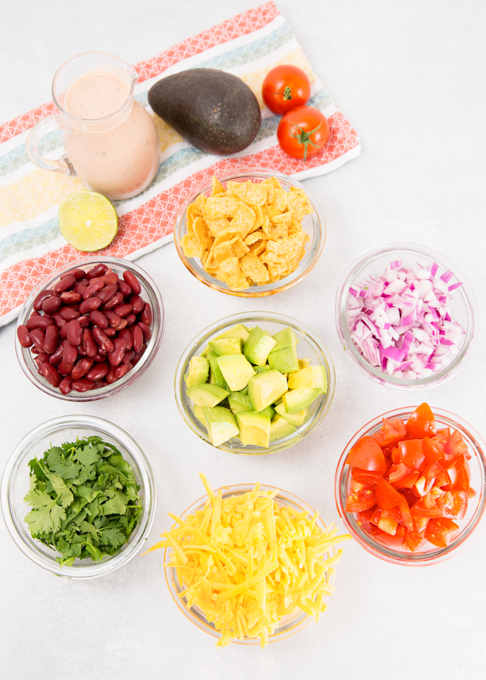 Just look at all the fresh and delicious ingredients that go into this Taco Salad w/Salsa Lime Dressing!! I started by making the Salsa Lime Dressing. 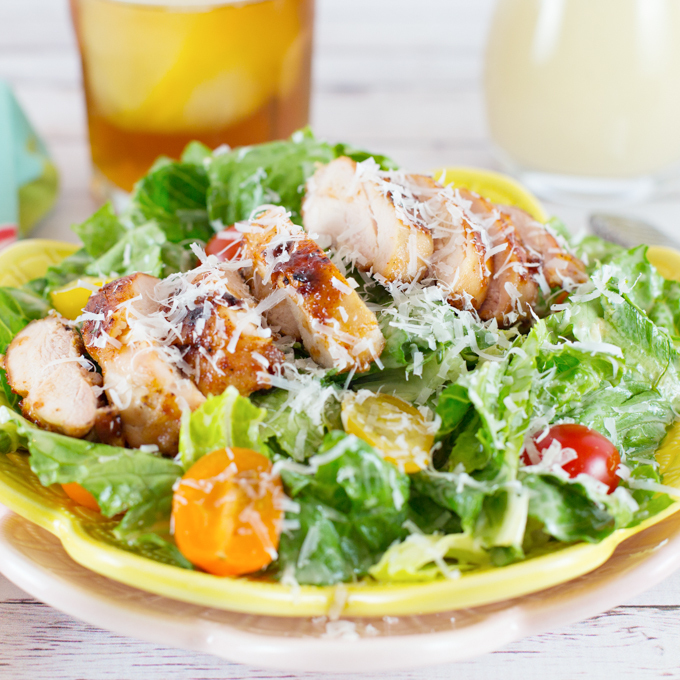 It’s a mayo based dressing which give it a delicious creaminess! And, it’s super quick to make, using just four ingredients: mayo, salsa, lime, and cumin powder. Super easy! Super Delicious! Once I mixed up the dressing, I placed it in the ‘fridge and began browning the ground turkey and prepping the other ingredients. 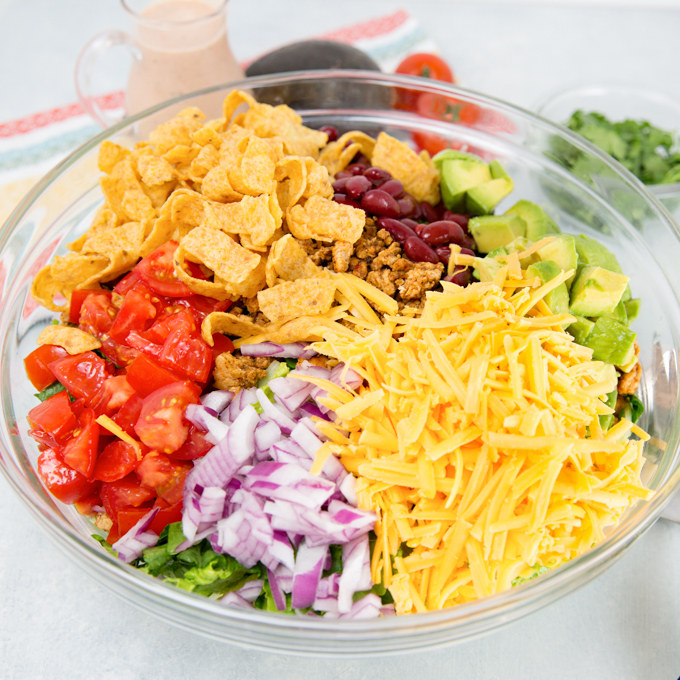 This meal was seriously as easy as making a quick dressing, browning some meat, chopping a few toppings, and mixing all together in a big bowl!! Dinner doesn’t get much easier than that! 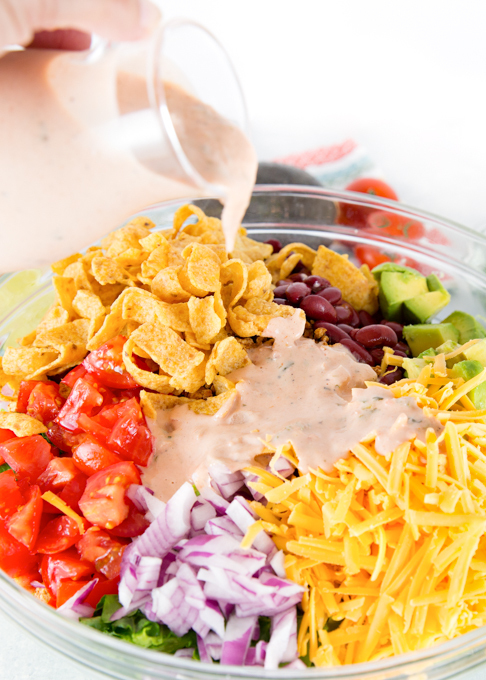 Once everything is in the bowl, pour on the dressing and give it a good mix!! Then, serve it up and enjoy!! 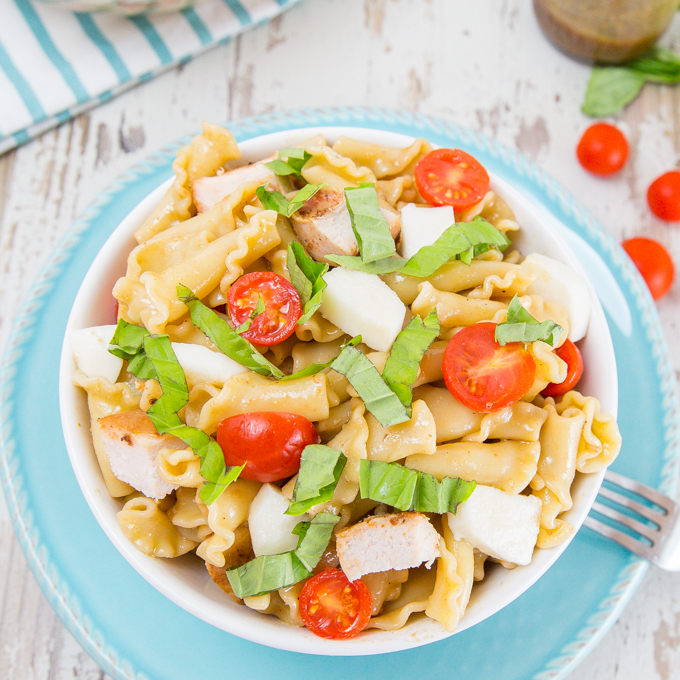 I’d love if you’d share this recipe on Facebook, and don’t forget to Pin it! 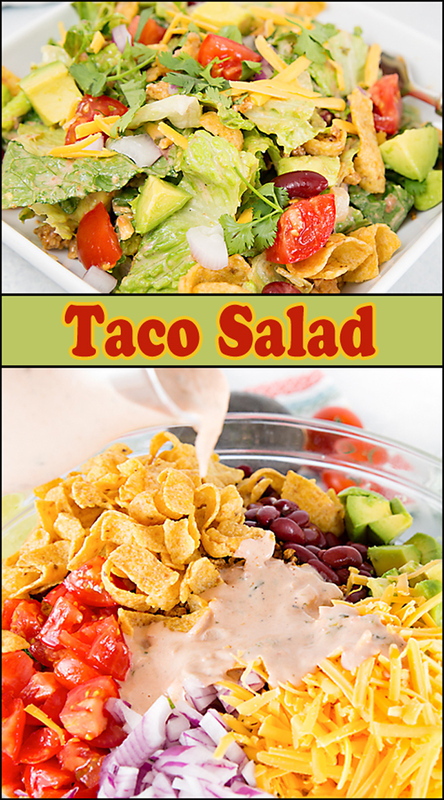 This makes a large bowl of salad, so feel free to adjust quantities as needed. Or, only add dressing to half the salad and save the remaining salad and dressing for another meal. 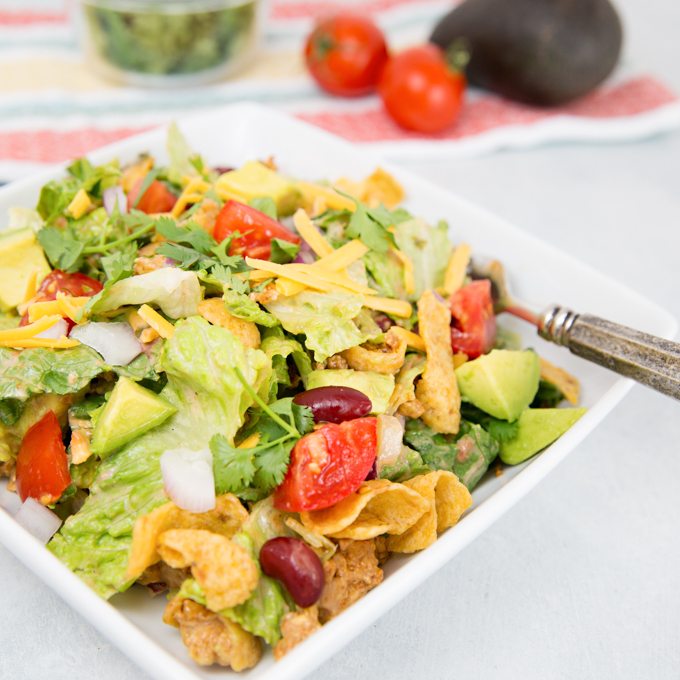 If saving for later, don't add Fritos until serving. 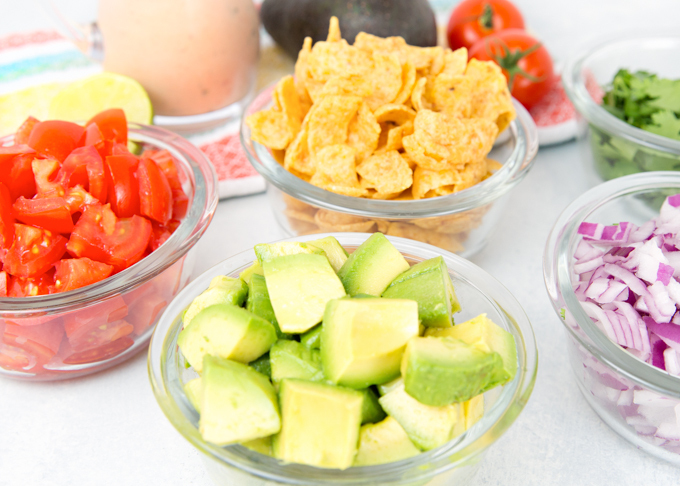 To make dressing: Combine mayonnaise, salsa, lime juice, lime zest, and cumin pwd. in small bowl and whisk until well blended. Add salt & pepper to taste (if needed). 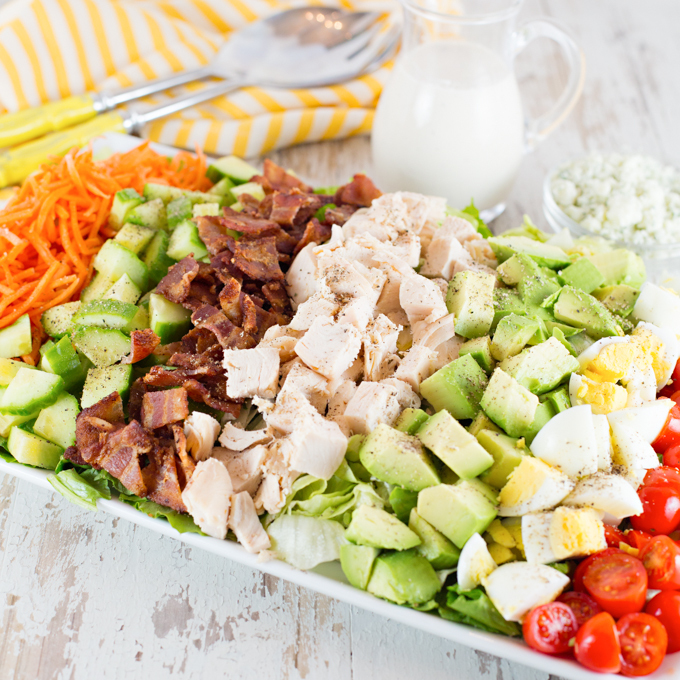 Refrigerate until time to serve salad. Heat olive oil in large skillet over med/high heat. Add ground turkey and taco seasoning. Cook turkey, breaking apart as needed, until cooked through and browned. Remove from heat and let cool slightly. 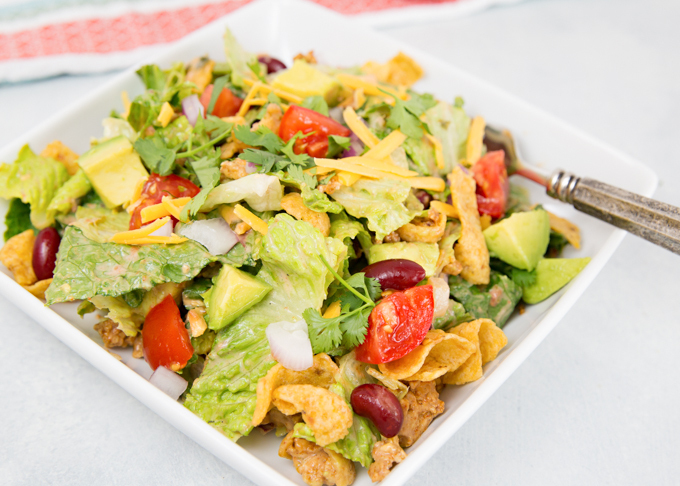 Prep all salad ingredients and place in large bowl: chopped lettuce, ground turkey, diced tomato, cubed avocado, grated cheddar cheese, kidney beans, chopped cilantro, chopped red onion, and corn chips. Top with Salsa Lime Dressing and gently mix until well combined.